It is country music time at the Google Play promotions. For a limited time only (these typically last a week but they don’t give exact expiration dates most of the time), you can get the 10-track “Play: Country Hits” mp3-album for FREE. This was just released yesterday. In parallel, for $2, you can get Big & Rich’s 2014 mp3-album “Gravity” (11 tracks, 40~ min play time). Enjoy 🙂 Keep in mind, these are limited time offers! Unlike iTunes Gift Cards, so far, Google Play gift cards are rarely discounted (which is quite the contrast considering Apple vs Google practices, but that’s another story for another day). Which brings us to this offer for Rite Aid Plenti rewards members. For the week of August 2-8 in 2015, at their brick and mortar stores, you earn 500 Plenti points if you purchase a $25 Google Play Gift Card. Since 500 Plenti points translate to $5 in future reward redemptions, if you shop at Rite Aid (or other Plenti places) often, this is essentially a 20% off discount. This is a limit two promotion for the week. You can use the Google Play gift card to buy almost everything at Google Play (music, apps, ebooks, movies, TV shows) but you cannot use it to purchase hardware or subscriptions (eg their All Access Music service) – they have to be paid with “real money”. PS #1: they also have the same promotion for Aeropostale, American Eagle and Hollister gift cards. PS #2: if you don’t have a Plenti rewards account, it’s free and simple to sign-up. You can even convert your existing Wellness+ account, which sort of hangs around but only applies to RiteAid house brand products. We have a detailed post on signing up for Plenti. If you need a Wifi-only smartphone or one to use with a free or low-cost plan, Tanga.com is offering the certified preowned (with 90 day warranty) Samsung Galaxy S4 for $180 with free shipping. You have a choice of black or white. No contract! You can use this as a Wifi-only device or use the free monthly Freedompop plan or one of their low-cost plans. NOTE #1: Upon activation, Freedompop typically gives customer free trials of their for-pay plans and premium services, so if you are not interested in them, make sure you cancel them during the trial period. IF you are not familiar with their approach to freemium, pay attention to the details in your plan page or contact their customer service and instruct them to turn off the premium services. NOTE #2: this can only be used with FreedomPop cellular-wise. You can still use the Wifi of course regardless. The Windows Industrial Complex took the Chromebook challenge very seriously, because now Windows laptops are even beating Chromebook prices regularly. Case in point, the 11.6-inch Lenovo S21e, model 80M4002DUS, is currently going for $150 with free shipping at amazon.com. Needless to say, you are not going to be running Photoshop or scientific simulations on this one, but it should be fine as a casual email and web checker. It has 2GB RAM, 32GB on-board solid state, Celeron N2840 2.1 GHz processor, the screen resolution that will be posted on Windows’s tombstone in the next century (1366×768), and things like that. Makes one wonder how much ground Microsoft lost with Windows RT on mobile and with Windows 8 on desktop. On the plus side, it is day #2 for me with Windows 10 and I am actually liking what I see (despite some hopefully-fixable knucklehead decisions (Wifi Sense, data hoarding, etc)). Good until the close of business on Saturday August 1st (in 2015) at Staples brick and mortar stores, there is the possibility of a money-maker deal when you combine the trio of coupon, rebate and reward. During this promotional window, they offer a 5pk of Staples branded copy paper for $5 after an EasyRebate and a coupon. 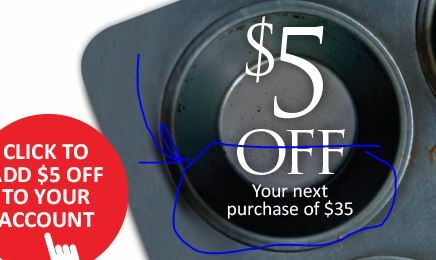 At the same time, they have a promotion that gets you 25% rewards on your total purchase. The rewards are given on the amount after the coupon but before the rebate. For the week of August 2-8 in 2015, at Staples brick and mortar stores, according to their weekly ad, if you buy a $50 or more in Xbox Gift Cards, you can receive a prepaid $10 VISA gift card via Easy Rebate. Easy Rebates can be submitted online, so you don’t have to mail anything. Their rebates are very reliable as long as you follow the rules and don’t try any monkey business. The promotion is limit three during this promotional week. Since a prepaid VISA gift card can be used at just about any store, this is a great deal if you need Xbox gift cards or spend enough there. At the Windows Store (accessible with the new Windows 10), for a limited time only, you can rent the movie Interstellar in HD (or SD) for just 99 cents. A Windows Store account is necessary to do this, which should be familiar if you used the Windows 8 or 8.1 “Metro” Store. Once you rent the movie, you have 30 days to start watching it. If you don’t watch it, there’s no refund. The flex is not just an offense basketball coaches at under-talented colleges employ. It is also a smartphone. Which brings us to eBay, where the new condition LG G Flex 2 (model H950), unlocked, in the silver color scheme, is offered for $300 with free shipping, with a limit of five per buyer. The seller is “QualityCellz” (99.2%). This was a former AT&T phone, but it has been unlocked to work with other compatible GSM providers as well. It comes with Android 5.0 out of the box and it is upgradeable to a newer version. It gets its name from the curved OLED HD display which is the main attraction of this phone. Plus it has a microSD slot that can take up 128GB, something the all new Galaxy S6 cannot do (assuming you want/need a microSD slot). The accessories can add up if you have to buy them on your own, the most expensive one of this group obviously being the amp. It should go without saying, don’t expect to get a perfect electric guitar for $65! If you love making tea, this is hard to resist! A 34oz Bodum tea press for just $25! The press allows you to stop brewing by pressing down the plunger, so you don’t have to remove the infuser before you start drinking. And once you finish, you can add more water and rebrew without the messiness of removing/adding the infuser with wet tea leaves. You can buy as many as you like during this sale at Amazon, it is available in black or red. Per the description there, the glass is borosilicate (tougher than it looks but don’t headbang with it! ), the strainer and plunger are polycarbonate, and the lid is stainless steel. 34oz is just a bit more than four standard cups (8oz cups). If you prefer a stainless steel infuser instead, they have that as a different model going for $34. Both are presses with plungers integrated into the lid, so if you prefer a solid lid without a plunger, these two are not it. The Plenti Rewards program is trying to tempt shoppers to use its own website/links when making back to school online purchases. In a new update and email sent earlier today, they have increased the percentages of Plenty points at some popular retailers, including a whooping 7% when you shop at the Staples and HP and Lenovo websites. So if you buy a $1 item, you get 7 Plenti points. If you buy a $100 item, you get 700 Plenti points (= $7 in rewards). NOTE: the discount is only when you shop at those websites, NOT if you buy HP or Lenovo items elsewhere. These offers end August 11 in 2015.